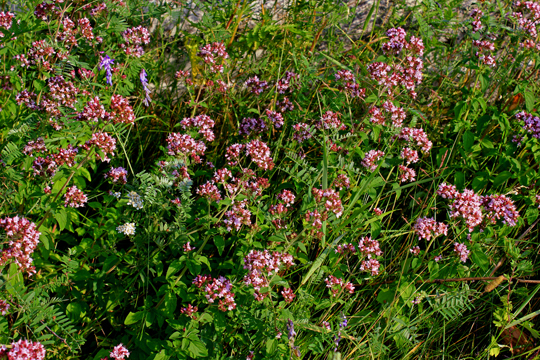 Although this is called Wild Oregano – Origanum vulgare, it does not really grow wild here. 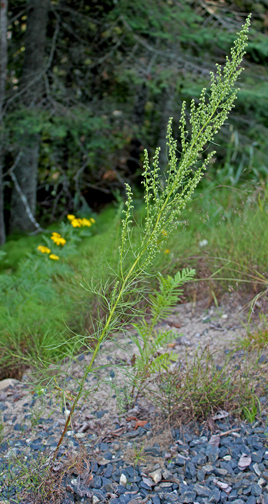 This one has escaped from Kay’s garden and grows in patches nearby. 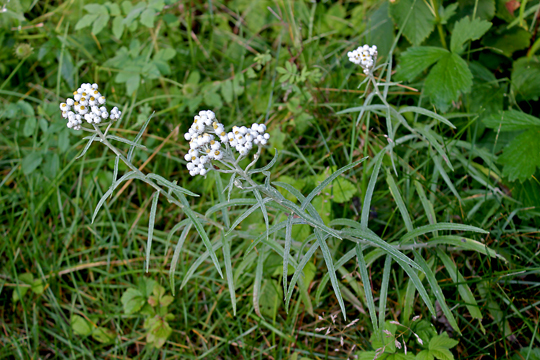 It’s pretty, and the two-leggers sometimes eat it. 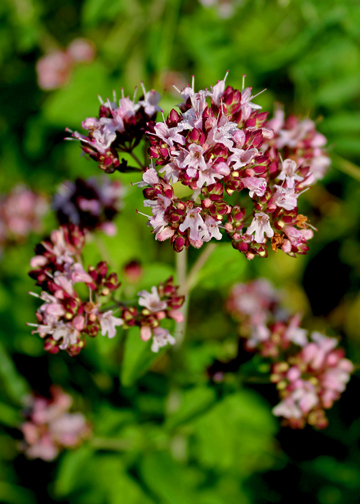 Elizabeth says it isn’t the best oregano for flavour, though. 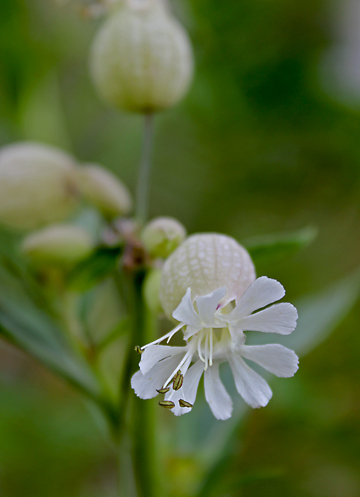 There is still plenty of Bladder Campion – Silene vulgaris in bloom. 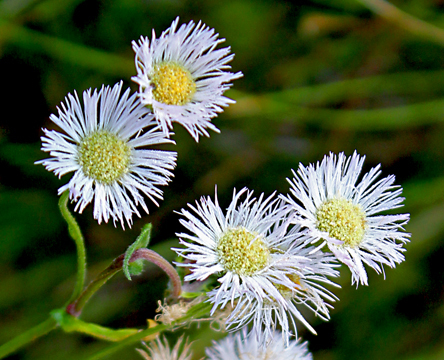 This is Common Fleabane – Erigeron philadelphicus, very similar to the Prairie Fleabane we showed you a few weeks ago, but the leaves are different. Creeping Bellflower – Campanula rapunculoides is rather lovely right now. 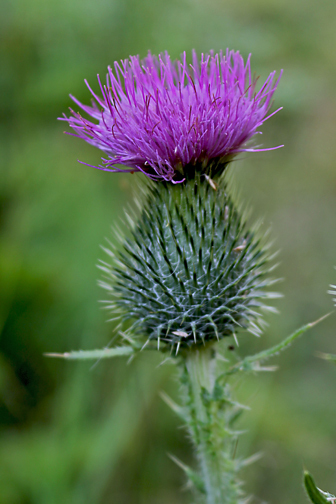 Here’s another kind of tufty purple thistle. This one is Bull Thistle – Cirsium vulgare and very prickly. Elizabeth had to spend some time pulling strands of my wool from this before she took the photo. Two-leggers shouldn’t walk through this with bare legs! 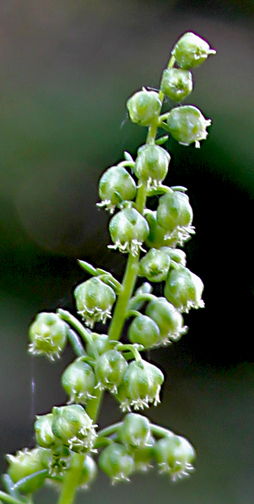 It has very strange flowers. Here they are in extreme close-up! 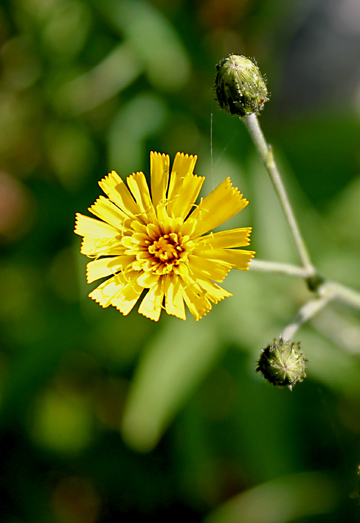 It’s another one of those flowers that looks a bit like Dandelions. I don’t eat these ones, though. 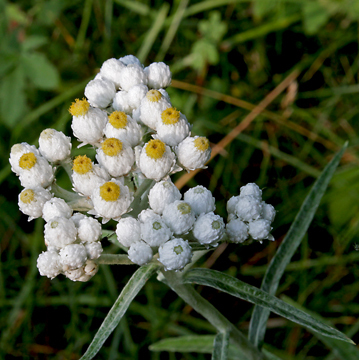 Pearly Everlasting – Anaphalis margaritacea is growing everywhere. From a distance, it looks pretty boring. But when you look closely, it’s really quite interesting. 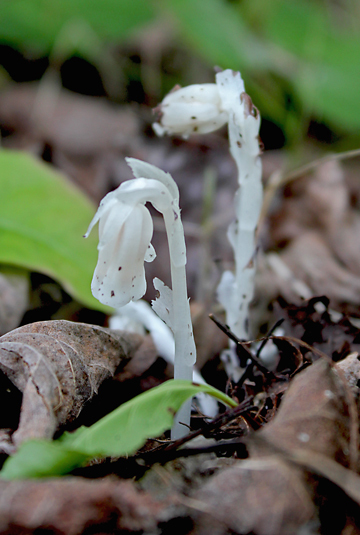 Our real find of the morning was several of these Indian Pipes – Monotropa uniflora. 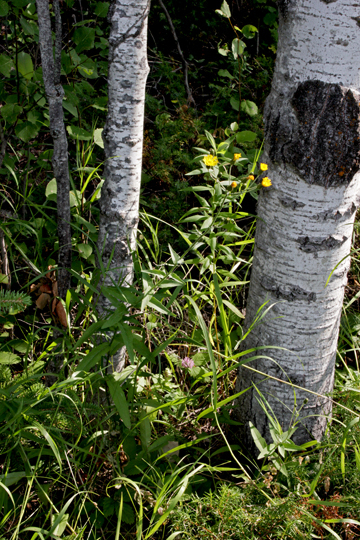 We just don’t find them very often – probably because they are hard to see unless you are really looking. They are different from most plants in that they don’t need light to grow!